Last year I did make a posting about counting all the provinces I had been in Thailand. And I saw I have been to (stayed in) 48 provinces out of the 76. So in the coming months I will travel via my postings from the most southern province I have been to the most northern province, with some photos and information about each province. This is part 24 of the 47 (out of the 77) provinces where I have at least stayed overnight once. Buriram province is in the southern part of North-East Thailand and borders Cambodia. 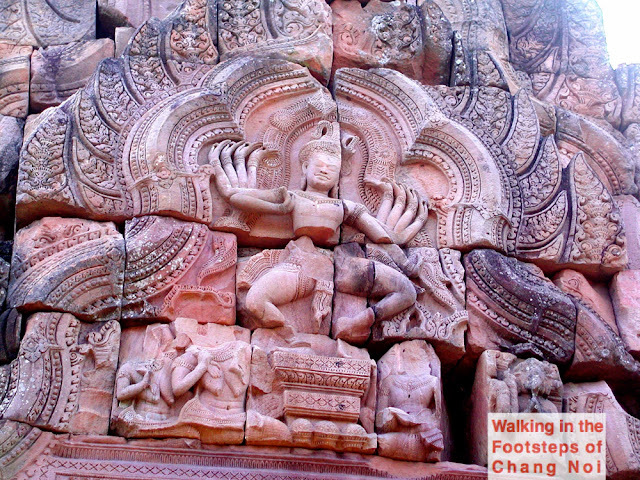 Most tourists will know Buriram because of the ancient Khmer ruins the Prasat Hin Phanom Rung . And that is how I came also for the first time in 2002 to Buriram. And in the years following I have been about 5 times at this magnificent temple complex on the rim of an extinct volcano. It is my favourite ancient Khmer ruin to go to in North-East Thailand. But the area of Buriram province (and Surin province) is home to many remains of ancient Khmer ruins, so if you are interested in this amazing culture that once dominated most parts of Thailand, Laos, Cambodia and Vietnam then going to Buriram is the thing to do. Photo above & under were taken at Prasat Hin Panom Rung. 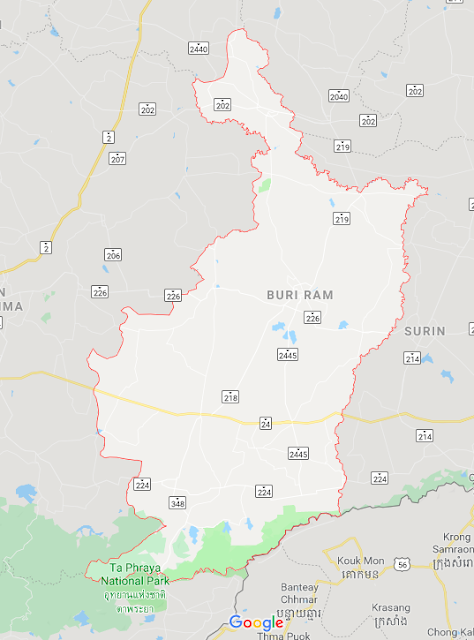 How to get to Buriram province? 🚘 🛵 from Bangkok via route 2 and route 24. ✈️ the Airport of Buriram (BFV) is in Statuk about 20 km north-east of Buriram town. 🚞 Buriram Train Station is along the Eastern North-East Railroad between Bangkok and Ubon Ratchathani. 🚌 from all major cities in North-East Thailand and of course from Bangkok.